Lucrezia Reichlin is currently a Professor of Economics at the London Business School. From 2005 to 2008, she was Director General of Research at the European Central Bank and from 2009 to April 2018 a non-executive director at the UniCredit Banking Group. Since 2009, she has also held several positions including as Research Director at the Center for Economic Policy Research (CEPR) and as the first Chairman of the CEPR Euro Area Business Cycle Dating Committee between 2011 to 2013. From 2013 to 2016, she was Chair of the Scientific Council at the Brussels based think-tank Bruegel. Dr. Reichlin is an expert on forecasting, business cycle analysis and monetary policy. She pioneered now-casting in economics by developing methods capable of reading the real time data flow through the lenses of a formal econometric model. These methods are now widely used by central banks and private investors around the world. Her publications on econometrics and macroeconomics have appeared in top scientific journals, including the American Economic Review, Review of Economic Studies, Review of Economics and Statistics, Journal of Econometrics, Journal of Monetary Economics and Journal of the American Statistical Association. 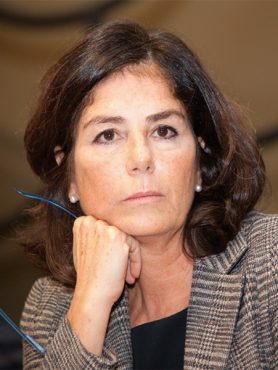 Lucrezia Reichlin is currently also a non-executive director of the AGEAS Insurance Group and Eurobank Ergasias as well as Chairman & Co-founder of Now-Casting Economics. She is a Fellow of the Econometric Society, the British Academy, the European Economic Association and Academia Europaea. Dr. Reichlin is a regular columnist for the Italian national daily Il Corriere della Sera and a Trustee of the International Financial Reporting Standards Foundation. In 2016 she received the Birgit Grodal Award, European Economic Association, and the Isaac Kerstenetzky Scholarly Achievement Award. Lucrezia Reichlin received her Ph.D. in economics from New York University.